Vytilla bus terminal set to become a reality! Vytilla bus terminal project would become a reality soon! Kochi needs such a project for easing the traffic congestion. The travel along the chocked roads of the city has become a painful experience for the people. It high time to find a new way to sort out traffic snarls in the city. Many patients die on their way to the hospitals as the vehicles carrying them find it difficult to negotiate the city roads. 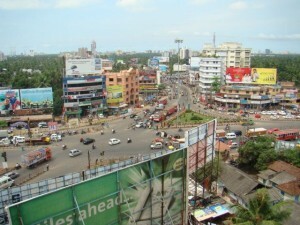 Ernakulam District Collector and the secretaries of the Revenue and Local Self Government departments have been asked to prepare a project report for the terminal.Once the Vytilla bus terminal project becomes a reality, these issues will be tackled and traffic snarls would be reduced to a greater extent.